France continues to produce most of the planet’s truly great wines and there are few “wine connaisseurs” who would dispute that. Names like Beaucastel, Coche-Dury, Pétrus, Margaux, or Haut-Brion, just to name a few, are amongst the most venerated brands in the world and they are all “made in France”. 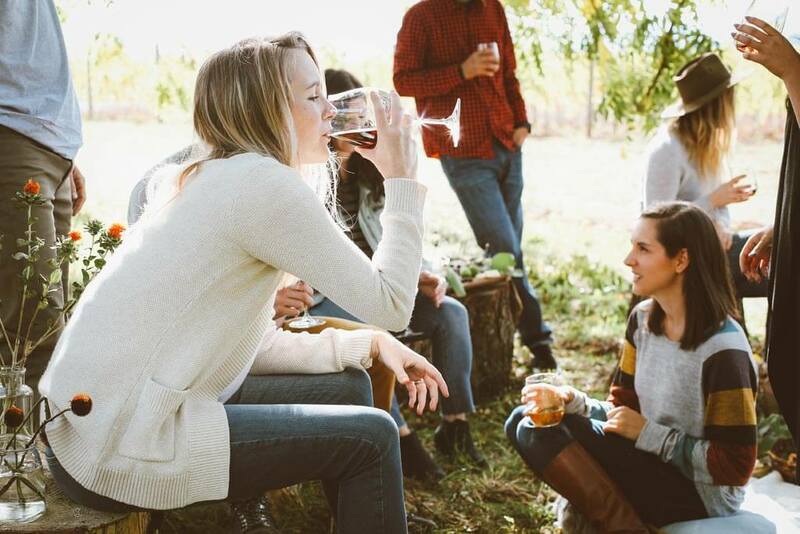 Also, wine tours are more than ever a travel trend and wine aficionados visiting Paris make sure to block an extra day or two in their agenda to visit the surrounding wine regions of Champagne, Bordeaux, Chablis or Bourgogne. The good news is that French wine, apart from being exceptionally good, is also relatively cheap if bought in France so many wine lovers visiting the country and its wineries will be tempted to buy one bottle (or two) to savor the drink of the Gods also at home. Whether you are a visiting France’s wine regions or on your way to a picnic with friends, you want your bottles to arrive intact to its final destination. 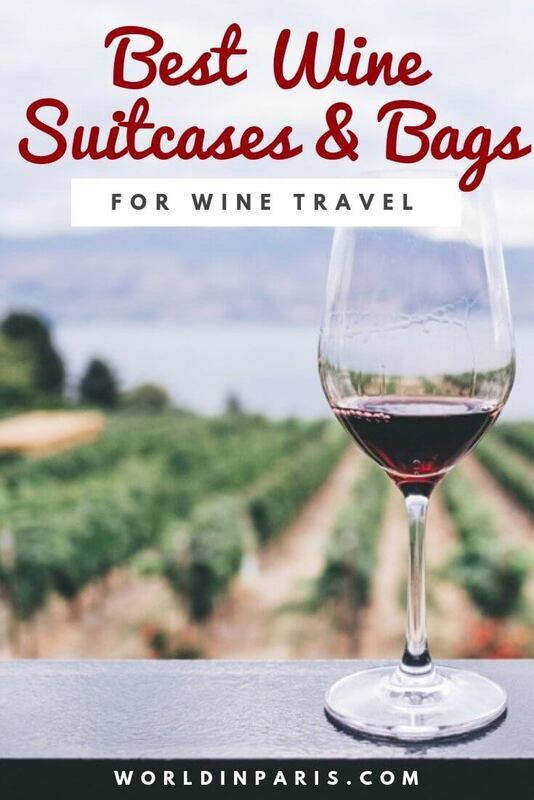 Here’s a list of the best wine travel bags and wine bags for air travel as well as our best wine packaging tips for traveling with wine like a pro. Cheers! Or like French say, Santé! NB: we care about our environment! This is the reason why we don’t propose wine bottle protectors or other wine bottle packaging made of plastic which, by the way, they don’t make your wine bottles bulletproof. If you are a wine professional or you travel often with wine, it is a good idea to invest in a resistant and durable wine suitcase. 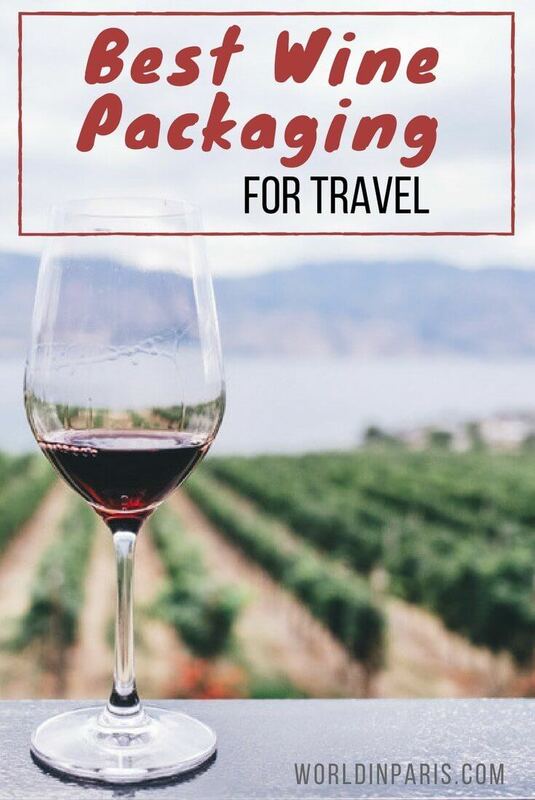 Because you want to transport wine on the road or wine in checked luggage, you want to make sure the bottles are well-padded to handle any impacts your bag may encounter. If you want to transport liquids in checked baggage, your wine travel bag has to be compliant with air transport regulations. According to the TSA, you can travel with an unlimited amount of alcohol in checked luggage as long as each bottle is under 24% alcohol by volume, and fits within the airline’s weight regulations. The wine suitcases below have different characteristics and capacities. All the models can be bought on Amazon so we recommend reading carefully the product descriptions, reviews and answered questions to find the best product for your needs. 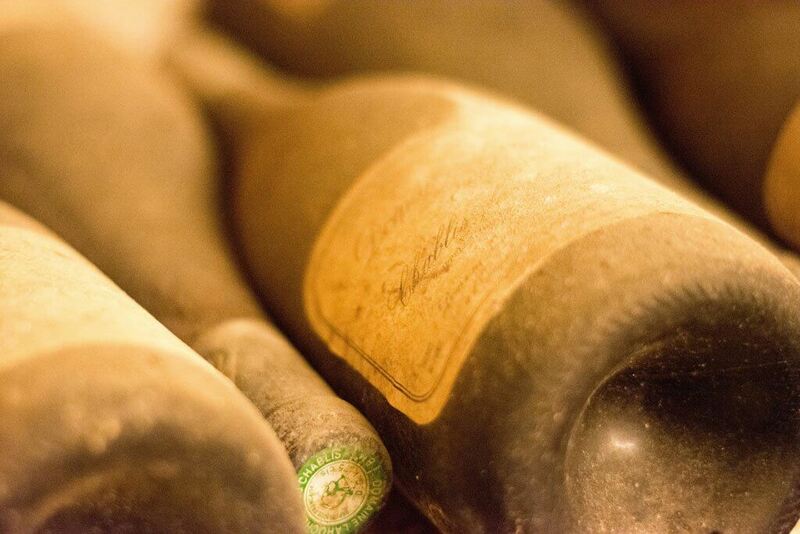 VinGardeValise (VGV) has been on the market since 2014 as a dedicated wine suitcase for oenophiles happy to return home with their best wine findings (up to 12 x 750mL bottle). 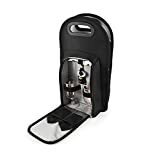 Its construction and optional inserts make it possible to use this wine check luggage as both a transport system for liquids or other personal items. VinGarde Valise is probably the best wine suitcase in the market. This wine travel suitcase is a smaller model specially designed for wine lovers to transport their special wines safely and conveniently. T.Z’ Wine Case is elegant, waterproof, dust resistant, and with a foam padded interior which can be removed. Although it is not marketed as “TSA Approved”, users in the U.S. have been traveling with it in domestic and international flights without any problem. 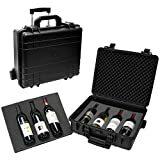 This is without any doubt an excellent wine carrier suitcase that can be used also for your personal items if you remove the foam inside. High grade molded polypropylene Shell. Looking for a less contemporary design? Provence Winefit proposes amazing vintage suitcases made of colored leather. This elegant suitcase comes with a protective aluminum framework completely padded and foam protection against temperature variations and strong wheels and handles so you can be sure it is a resistant and robust suitcase. Winefit is available in 3 different sizes to carry 8 – 12 and 16 wine bottles and it is compliant with international standards for liquid and alcohol air transport and it is one of the best ways to travel safely with wine. 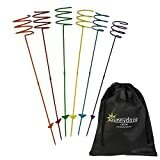 If you typically transport a large number of wine bottles on trips, it’s worth it to invest in Wine Check Complete Set. Made of durable, high-quality Cordura nylon with reinforced stitching, Wine Check protects your wine while traveling. 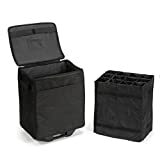 This wine luggage for airplane travel is designed to enclose your wine in a styrofoam case and wine shipper box (included) inside the secure padded case. Wine Check bag is foldable when the shipper box is removed, so you can easily fit it inside another travel luggage. Its carrying handles and pull strap with wheels make this wine carrying case very easy to use. If you liked Wine Check Complete Set you will love their new model, Wine Check Elite. This wine travel case is smaller, more resistant, more versatile and it comes with a telescopic handle. With Wine Check Elite you can check 6 bottles of wine using a standard 6-bottle wine shipper box, or place a 12-bottle ‘case’ box inside, or use the removable padded 12-bottle inserts. 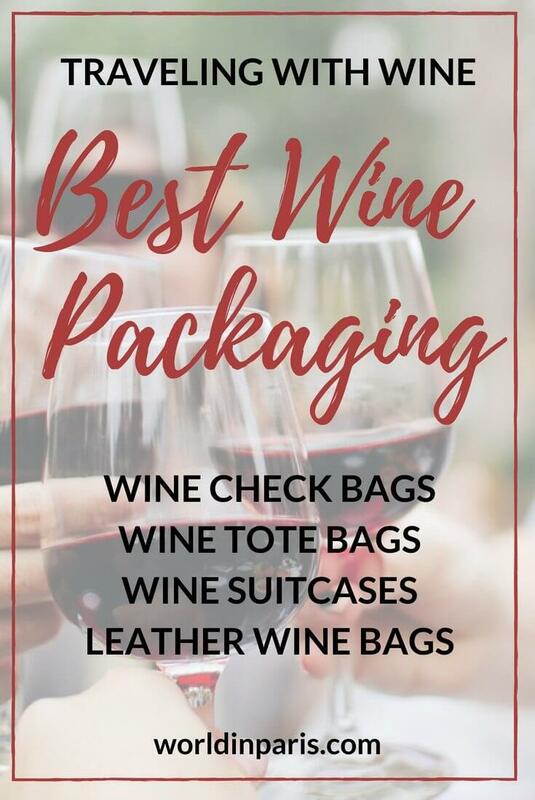 This wine check bag is foldable when the shipper box is removed, so you can easily fit it inside another travel luggage. Wine Check Elite is one of the best wine luggage for wine travel and a must-have bag for wine lovers and wine professionals. This is VinGardeValise’s smallest model, with the same qualities and features than Valise Grande but only for up to 8 bottles (750ml) of wine or spirits. Its construction and optional inserts make it possible to use this wine luggage carrier as both a transport system for liquids or other personal items. 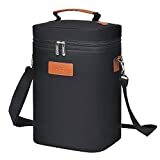 Whether you are on the road exploring France’s wine regions or just heading to a picnic with friends in Paris, it is always a good idea to invest on some gadgets like wine carriers for travel to aid your traveling woes with bottles of wine. 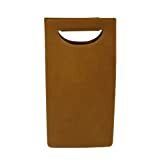 In addition, most of these beautiful wine bottle totes are unique wine gifts for oenophiles and wine lovers in general. If you plan traveling with wine, even for short distances, don’t take unnecessary risks and protect your wine bottles as much as you can. 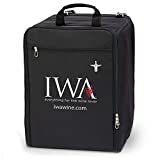 This insulated wine tote is perfect for exploring France’s wine regions, where you visit many wineries, you try different wines and it seems there is always something-something perfect for you. 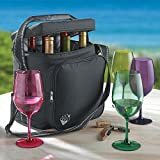 With Wine Enthusiast Weekend Wine Bag you can carry up to 6 bottles, perfectly stored thanks to its internal divider while a convenient zippered front pocket can be used for storing a wine opener or other accessories. The thick thermal insulation inside this wine travel bag keeps your favorite bottles of wine at a decent temperature while on the go. 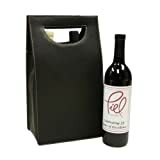 Wine Enthusiast Wine Bag has an elegant and timeless design which makes it a unique wine gift for wine aficionados. This model is available only on Amazon US and Canada and it is not shipped to Europe. This wine tote bag is another proposal by Wine Enthusiast, with the same concept and capacity than the previous model but with a more informal style, made of durable black nylon. This model is available on Amazon US, Canada, UK and Europe. 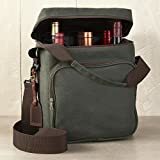 This insulated wine tote is ideal for exploring France’s wine regions, or just for a travel, picnics and more. Kato’s Wine Carrier Bag is thermally insulated so you can carry up to 4 bottles in perfect conditions. 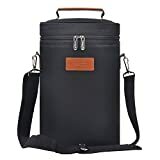 The divider inside this wine travel bag is detachable so you can also store food and other things. Brands Kovot and True propose 2 bottle wine carriers perfect for a picnic day with friends. 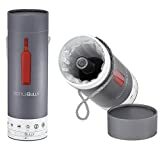 Their insulated main storage compartment allows to carry up 2 bottles of wine in perfect conditions and both sets include a compartment for wine glass packaging (and 2 wine glasses), 1 corkscrew, 1 stopper, and other accessories. 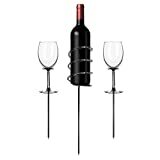 Kovot’s set also includes 2 wine stakes to hold your wine glasses right where you want them. 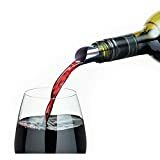 Kovot’s 2 bottle wine carrier is available only on Amazon US and Canada but they can ship to other countries like France or UK. Sometimes you just need to carry those 1 or two wine bottles that you found in a nice wine shop or in a wine fair. In this case, a wine bottle carrier, without accessories, is more than enough for you. Kato proposes a nice insulated 2 bottle wine tote and you can find the same design for 1 or 3 bottles. 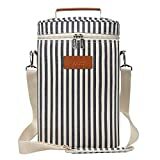 These wine bottle bags are only available on Amazon US and Amazon Canada but they can be shipped to other countries like France. 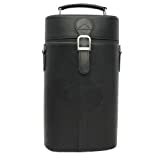 Also, Piel Leather has incredibly beautiful leather wine carriers which can be unique wine gifts with or without wine. These handcrafted leather wine bags can carry up to 2 bottles of wine. The wine bottle bags shown below are available only on Amazon US and Amazon Canada but they can be shipped to other countries like France. 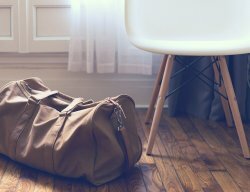 No matter which type of luggage you use, you’ll want to make sure your bottles are as padded as possible. How to carry wine in checked luggage and be sure it arrives safely without a wine carrier suitcase? » Don’t pack the bottles near the sides of the suitcase. Instead, try to line the bag with soft clothing, to serve as padding, and then place your wine in the center. This layer of clothing along the sides is the only real line of defense standing between your bottle and any hard surfaces the bag may happen to bang against. Then, the easiest thing to do is simply to wrap each bottle in a good amount of clothes (or put it inside a thick sock) and place each one in the bag. » After placing your bottles inside these wine bottle packaging, place them in the center of the bag just as you would bottles wrapped in clothes. 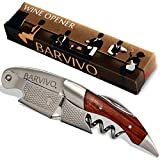 While these wine bottle travel protectors are helpful, they don’t make your wine bulletproof, so you should still take the above precautions when packing wine in suitcase. We hope that you liked our favorite wine handbags and wine bottle carriers. Do you carry wine in checked luggage or in wine bottle bags? What are your best wine packaging tips?